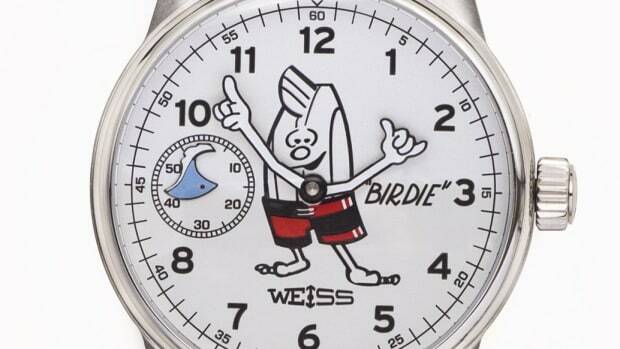 Birdwell and LA-based Weiss join forces once again with a new limited edition timepiece featuring Birdie, Birdwell&apos;s shaka-throwing mascot. 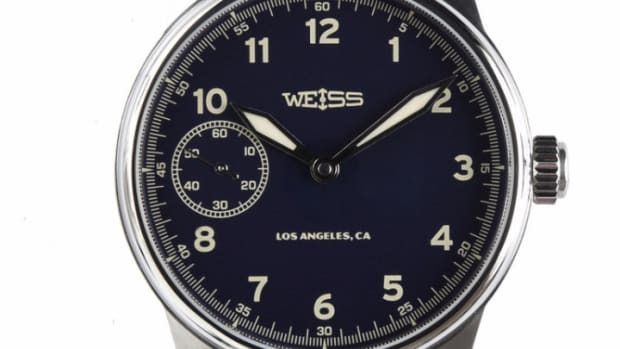 The new version of the watch will feature a 42mm titanium case, which is the first time Weiss has used the lightweight alloy in its cases. 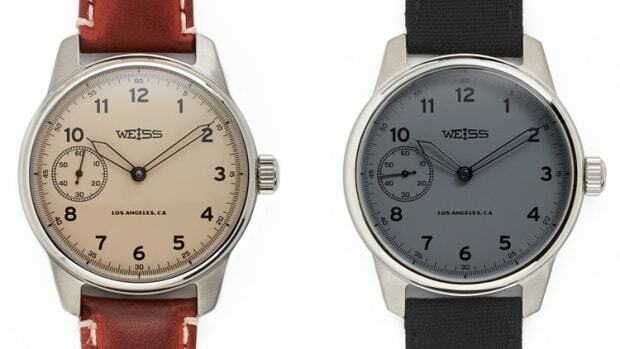 It will also house Weiss&apos; Caliber 1003 manually-wound movement, which has a power reserve of 46 hours. Each watch is assembled in LA and comes on a striped NATO strap. 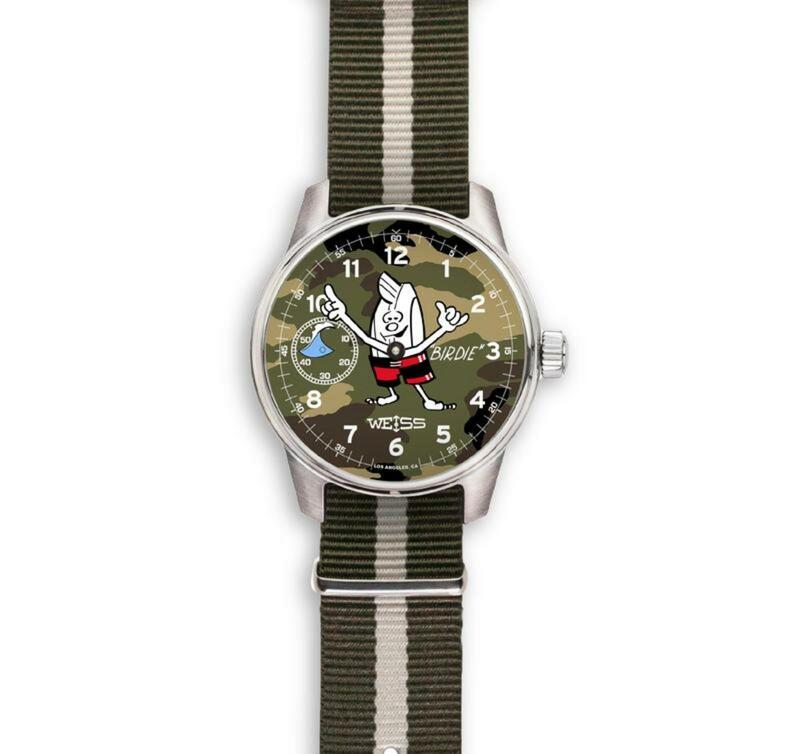 The watch will be available in two colorways and is limited to 10 pieces each.